Travelling south from Granada in the 7th Century the Moors reached a vast, fertile valley surrounded by mountains. The land had everything they prized - good earth, free-flowing rivers and the natural fortification of the sierras. Captivated by its beauty, they named it El Valle de Lecrín - the Valley of Happiness. Nestled in between the mountains lies a gentle land - of rolling countryside, rich with orange and lemon groves, almonds, olives and grape vines - and timeless, sleepy villages where sheep and goats are herded through narrow streets and where the mule is still a prized possession. More easily accessible than Las Alpujarras, Granada can be reached in under 30 minutes, as can the beaches of the Costa Tropical. 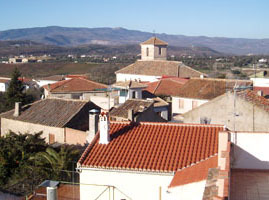 This is the main town within the Lecrín Valley and is situated on the southwest face of the Sierra Nevada. It has many bars which will provide you with a welcome drink and tapa. You will also find many shops to buy your supplies whether you are looking for a large supermarket or the local bakers: Dúrcal has all the shops you will need. In addition to the local shops the local market is well worth a visit for fresh local produce. 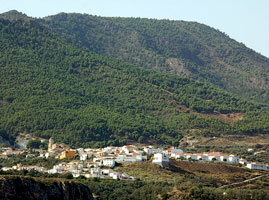 Acequias is a small, quiet community nestling among olive groves in the foothills of the Sierra Nevada. It's a very friendly place with several holiday properties located here. It is full of character, and characters, and is ideally situated for activity-orientated breaks or get-away-from-it-all holidays. An 'acequia' is an irrigation channel, and these run under or at the side of streets throughout the region, taking water from higher up the mountains to the fields and villages below. In Acequias you can hear the sound of the water running under the streets as you walk along. At the base of Cerro Alto (The High Hill) Acequias is at an altitude of about 2850 ft. It avoids the extreme heat of the summer and is mosquito-free giving it an almost perfect climate from April to October. Even in the winter months, the climate is very mild and sunny, making this an ideal time for walking, as well as for trips to the ski resort. Although it has no bars or shops there are several in Nigüelas only 5 minutes away by car or 25 minutes on foot. However you don't need to go that far to get the basic supplies as several vans regularly bring bread, fruit, meats, vegetables and fish up to the village, and signal their arrival with a loud hoot of the horn! You will need to be quick but most of the local residents use the service and consequently take advantage of the opportunity to chat and catch up with the news!